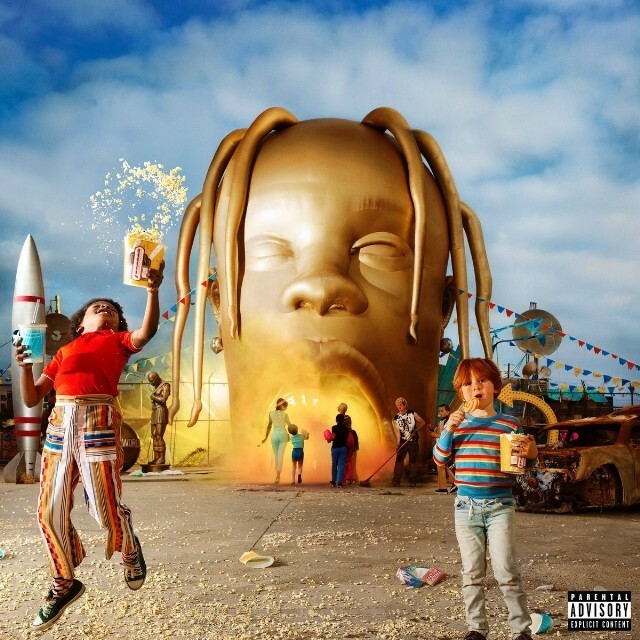 Astroworld has become a recurring word for Travis Scott. The Houston rapper has hinted at various projects with the title since 2016, again returning to the name (which comes from his hometown theme park that closed down in 2005) in early 2017. At last, the project has now been released. The follow-up to his 2016 album Birds in the Trap Sing McKnight, as well as Huncho Jack, Jack Huncho, his 2017 collaboration with Migos rapper Quavo, his latest effort features Frank Ocean on the song “Carousel,” as well as co-writing credits for Drake, Pharrell, The Weeknd, James Blake, Tame Impala, Quavo, Takeoff, John Mayer, Thundercat, 21 Savage and more across various songs. The album was teased with a bizarre album cover and an ominous, expensive-looking trailer directed by Nabil (Foals, Kendrick Lamar), with only the frantic “Watch” as the other single, and Scott posted the album’s tracklist earlier this evening. Stream the whole record below, out via Epic.